I spent along time considering this jacket. There are so few reviews out there that I thought I should review it and let people know about it. First of all, to set the scene. Ive always sworn by Gore-Tex Pro. Reliable, hard wearing, well built and good looking. 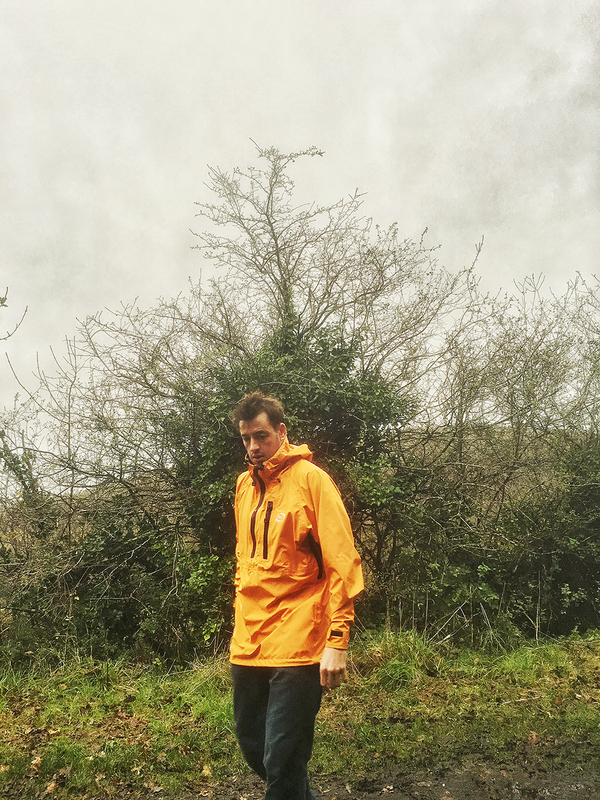 I had the 2015 Changabang, a £440 waterproof jacket. I wore mine everyday with some Salopettes whilst skiing in the Alps for 4 months. Perfect it was, but it was quite figure hugging. 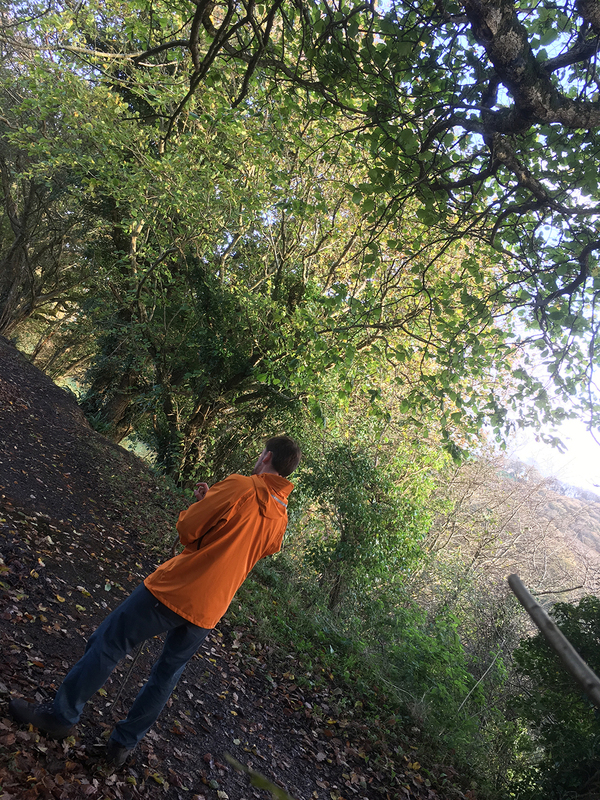 I am a person that mainly hikes,and as such i want something lightweight, something waterproof and something that goes slightly lower on my torso. I have a couple of items from PHD, a small British company that specialises in the ultimate outdoor gear. They don’t advertise(scarsely) and they do not sell through any shops. They are a small establishment, but an establishment with some heavy hitters on their side. Peter Hutchinson designs, as its known, is run by the man who launched and established Mountain Equipment. An incredible brand, but decided to leave when it simply turned into a business churning out more and more things, and selling them everywhere and anywhere. The politics in play made Peter start his own brand. Dedicated, bespoke, and impeccable quality. The items are all hand made, and carry a lifetime guarantee. SO I decided to look at their waterproof jacket range. Its limited, but then, a waterproof jacket is a waterproof jacket. So I saw the jacket, the Alpamayo, available as a smock, or a full jacket. In burnt orange with a black zip. No frills, or bells. They use their own material called HS3. There is little on the net about this fabric except what they have said. PHD claim to extensively test all of their fabrics above and beyond. So, I decided to take the leap. I opted for pit-zips as I want this jacket to be used in hot climates, and very cold. When it arrived I was shocked by what I had. The material feels like silk, its not much thicker than silk, and the whole jacket weighed very little. When on, it does go lower than the Changabang, and does cover the bum. This is great, as when it rains gently, and waterproof trousers are over the top, this will keep you comfortable. Ive worn this in rain, but have yet to test it in torrential rain, however an update will come. The jacket has dry-suit zips on the front, these are totally waterproof once they are done up. They take a bit of an extra pull to undo, but you know that whatever is in the pocket will stay dry. The jacket so far is great, I worry that it isn’t thick enough to be used throughout the year on mountain passes, with a pack, but i have been assured its a full 4 season jacket. So come back in a month for the next part of this review. The photos are included simply to enable you to see the length and the cut. 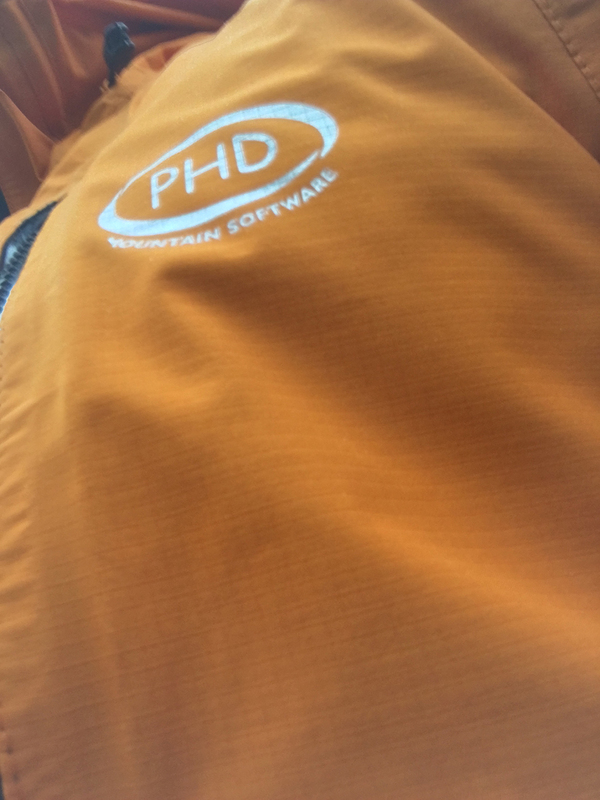 They say PHD down products are designed to be worn under the jacket. Any questions, drop me a line!! Thank you for taking the time to do this review. I am very tempted to get this jacket as it looks very well made and I like the idea of supporting local manufacturing. I look forward to your update as I am interested in knowing more about the fit and breathability of the jacket. Yeah, I took the plunge with it. 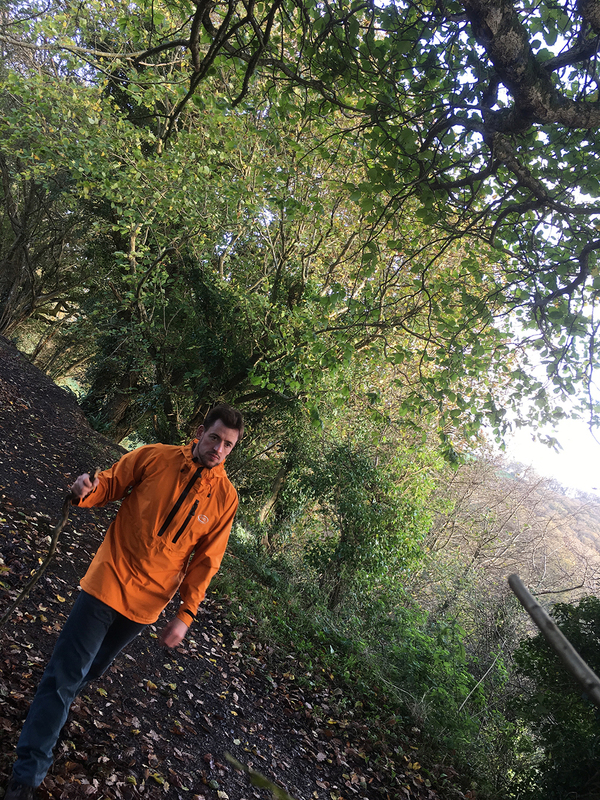 I haven’t used it a great deal as yet, but I do look forward to seeing if it does as well as it claims-Funnily enough a colleague of mine bought the alpamayo jacket similar time to me , and he loves it.I will update on it, but it certainly seems pretty fantastic so far. If its raining hard tomorrow I will get out in it and will update you. Many thanks for the comment. 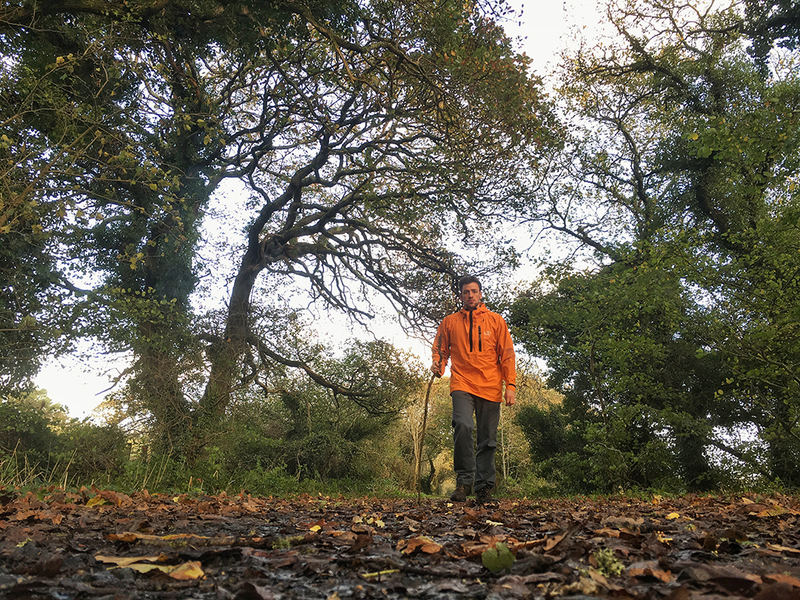 Phd minimus down jacket,blowing a hooley,driving rain,typical Dartmoor weather,my attire repelled it all and I was the driest in my walking party,and warm,but didn’t overheat.